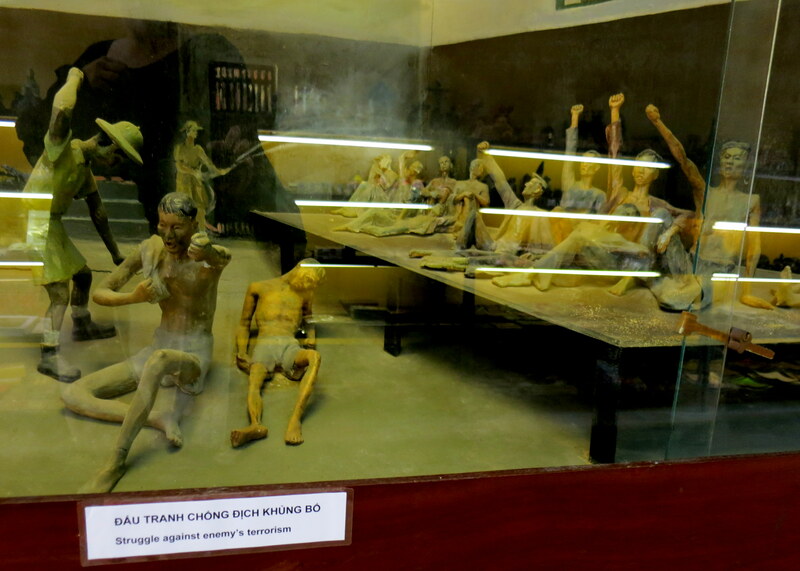 The Hoa Lo Prison in Hanoi combined the single-minded propaganda of the War Remnants Museum and the strange echoes of death sites felt at the Cu Chi Tunnels, resulting in a bizarre experience. A friend and I went together, and we were two of only about thirty or forty visitors in the mid-afternoon heat, so often we were the only people walking through rooms that were once packed full of prisoners, our voices swallowed up by the thick concrete walls. American prisoners of war nicknamed this place the “Hanoi Hilton” in a bitter jab at the conditions they endured. The official Vietnamese line is that the POWs were treated very well, and learned to empathize with the people they had previously only known as “the enemy.” However, multiple POWs have reported inhumane conditions, including substandard housing, insufficient food, and physical torture. But the first part of the museum doesn’t even mention Americans. 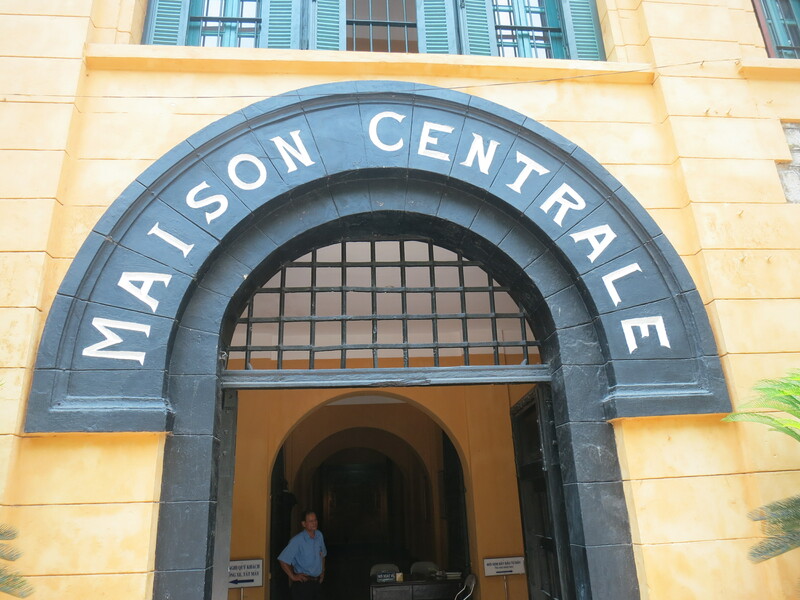 The prison was built during French colonial times to house political prisoners, and the gatehouse that remains as the museum still has “Maison Centrale” arched over the doorway–the central house of the prison complex. 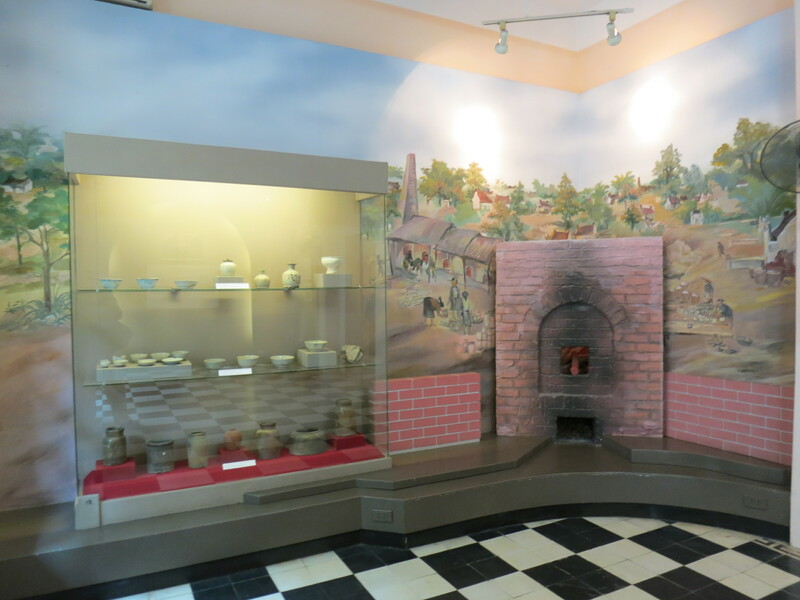 Inside, there’s a mix of murals, glass cases filled with objects and scale models of the prison, and life-size sculptures of prisoners chained together and plotting revolution. 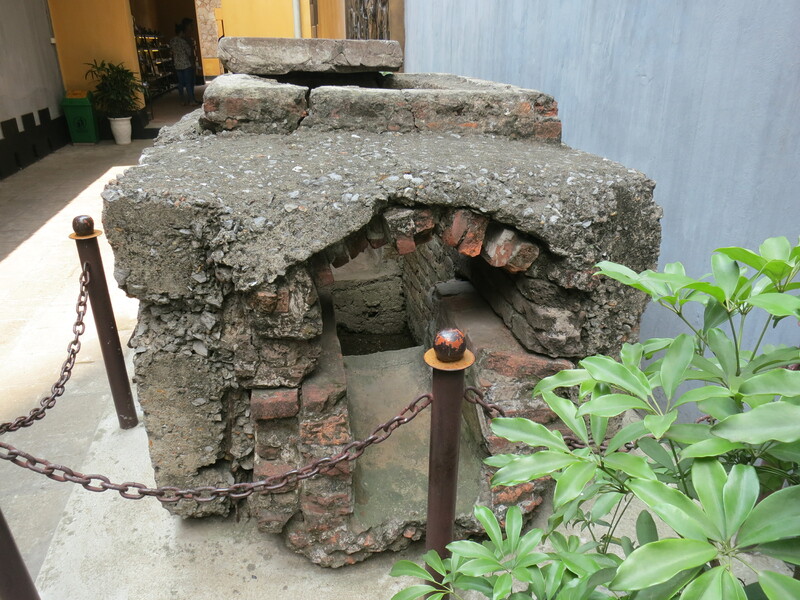 The Vietnamese who were imprisoned by the French endured terrible conditions; the exhibits emphasized how resilient the prisoners were, and how they did everything they could to resist their imperial jailers, including gathering under an old almond tree in the courtyard to discuss resistance measures. 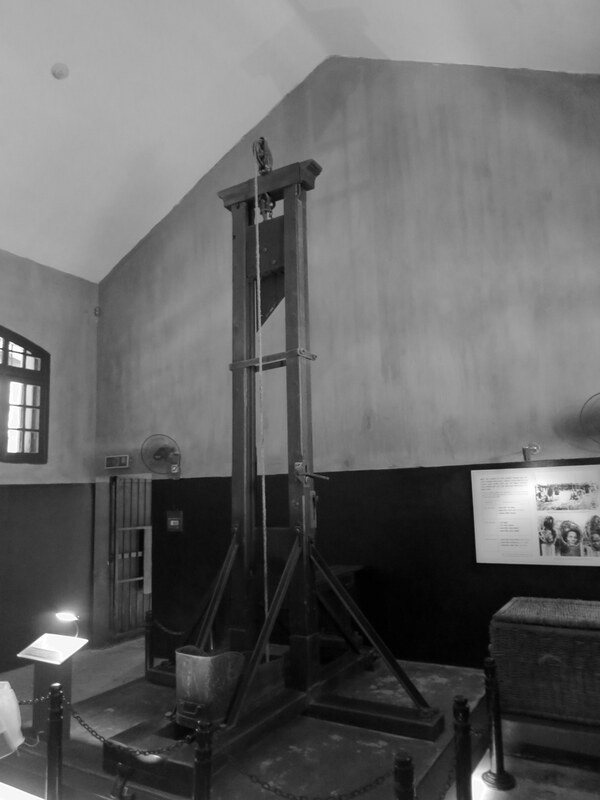 The guillotine used to execute prisoners was on display, as were the solitary confinement cells, the piece of sewer pipe that 100 prisoners escaped through, and the room that held many more female prisoners than could comfortably fit. There were just a few small rooms devoted to the prison’s use in the ’60s and ’70s. 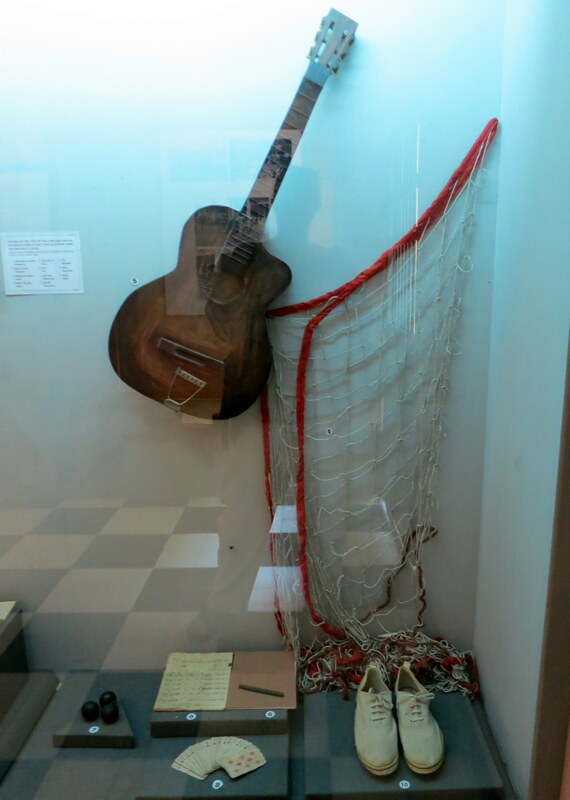 These held artifacts like John McCain’s flight suit, a bed used by the prisoners, and a guitar and badminton net from all the leisure activities the POWs were supposedly allowed. The video was a marvel of propaganda. 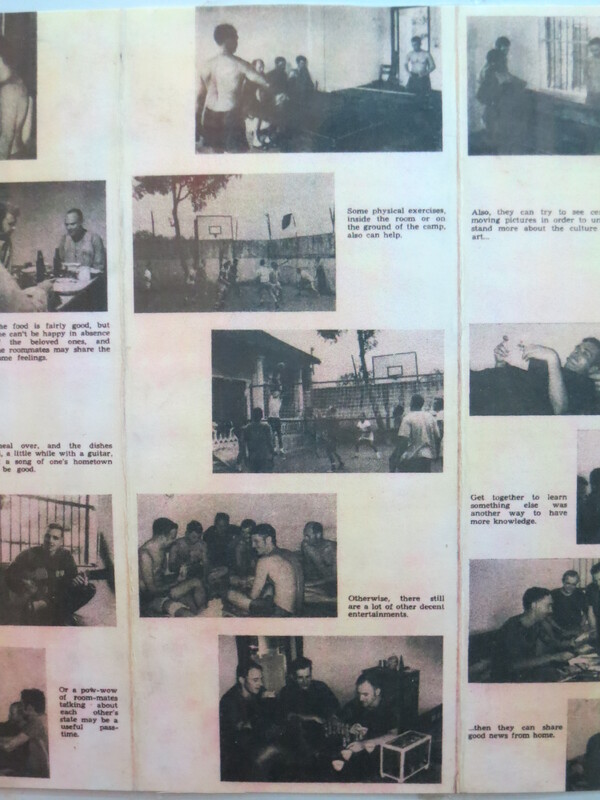 It alternated scenes of American POWs playing basketball and grinning at dinner with scenes of Vietnamese cowering from falling bombs and picking through the wreckage afterward. It was a genius video; who could watch it and not sympathize with the Vietnamese, who were so generous to the people who were daily trying to kill them? Of course the smiling the POWs did for the cameras was all done under duress, and it was sick to hold up these tortured men as examples of how beneficent their captors were. But just because the POW sequences were lies doesn’t mean the bomb and wreckage scenes were. It was a bloody, hateful war–as they all are. My interest in the prison derived from my knowledge of the Vietnamese-American War, but once again, seeing the place in person showed me a side I wasn’t aware of–how significant the prison was to the Vietnamese as a place where they had been tortured and unjustly confined by French colonial forces. There wasn’t even a straight line drawn between the displays showing how badly the Vietnamese were treated, to displays showing how well the Americans were treated. 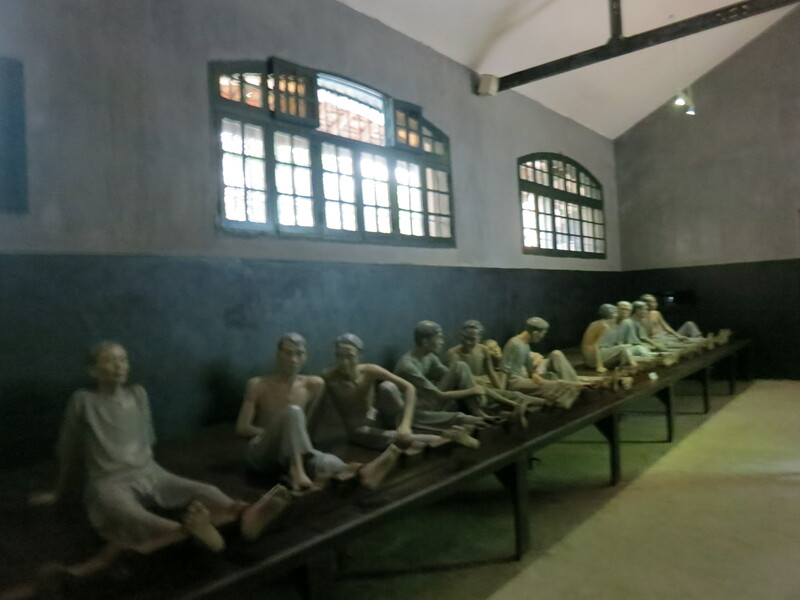 That was a line you could draw, yes, but the way the museum was set up, it was more like it was a museum about the prison under the French, and the heroic Vietnamese prisoners who lived and died inside; and there were a few rooms about how the prison was later used. It was fascinating, and sobering, and nothing like I’d expected. 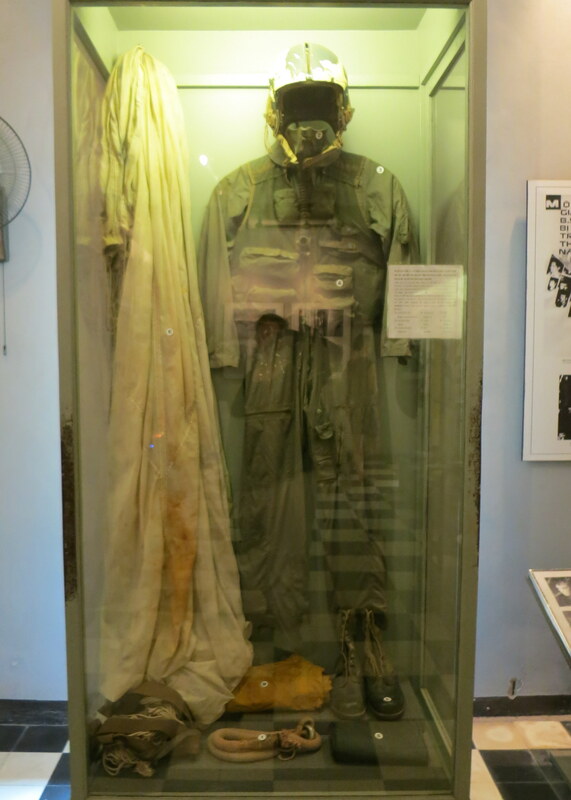 This entry was posted in Human Rights, Vietnam and tagged French colonial, Hanoi, Hanoi Hilton, Hoa Lo Prison, POW, POWs, prisoners of war, propaganda, torture, unknown history, Vietnam, Vietnam War, Vietnam-American War by lisafindley. Bookmark the permalink. 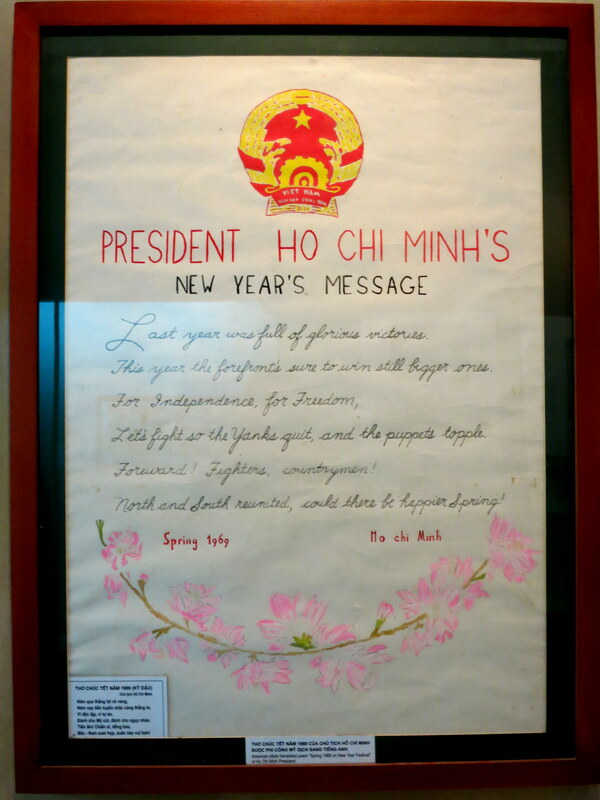 What I was impressed with was how the sentiments in the message from Ho Chi Minh are what any one of us would support. Of course we all want freedom and independence and unity and no war. I guess it all depends on which side you get your “facts” from, whether it is propaganda or information. I feel that way about “news reports” also. We hear what They want us to hear – most of us have no idea of what’s really going on, especially in the political arena. Is it strange to anyone else that it is a political “arena”, like a sports venue?! 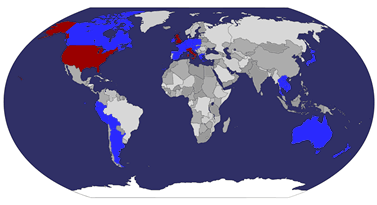 Anyway thanks, as always, for sharing your travels with us – the good, the bad, and the ugly. It’s what happens when you really travel – perspectives change! The New Year’s message struck me as another perfect piece of propaganda from a politician–texts can be read in so many ways! I’m so glad I made it there. Hope you’re well in Europe!